I made my goal to read 1984, Sinclair Lewis’ It Can’t Happen Here, and Phillip Roth’s The Plot Against America. Still reading the Roth. I differ with Mary in that I see all three pretty much as non-fiction disguised as fiction to make sure they were read by the greatest number of people. All were written during trying times in America. All deal with fascist themes. None were easy reads. But all worth it. And yes, 1984 was so depressing. BUT… just this week we saw POTUS tell us not to believe what we see with our own eyes. I was blessed at the time but did not realize it. The year was around 1968. My college English professor made 1984 required reading for the semester. I had to do a research report on the novel. Some of Orwell’s “future” from 1984 had already come to pass. Scientists had already successfully fertilized and grown test tube animals (farm type animals I recall). 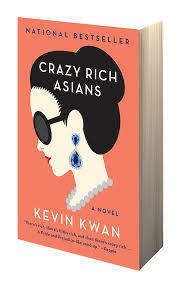 As more and more has come to pass I think that this novel, while depressing, should have been required reading. 1984 is a warning to us all. We should heed the warning. 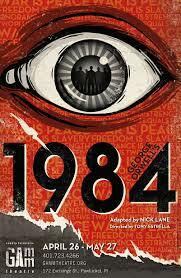 I would like to think that the reading of this book by millions has put a “drag” on the pace at which we are heading down the path to 1984. Yes, depressing but necessary reading.